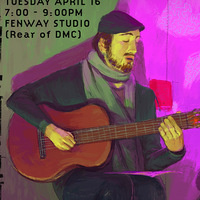 The MassArt Illustration presents Noodle & Doodle, a live music drawing session featuring the Massart student/musicians! This Noodle & Doodle session will be held in the Fenway Room (first floor of the DMC, at the rear of the DMC). All majors are encouraged to attend and the event is open to the public! Bring your sketchbooks and drawing materials!